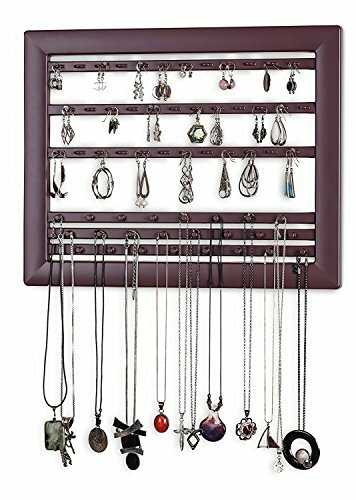 A compact and space-saving jewelry holder, this product will easily store all of your items of jewelry together and keep them from tangling into each other as well! 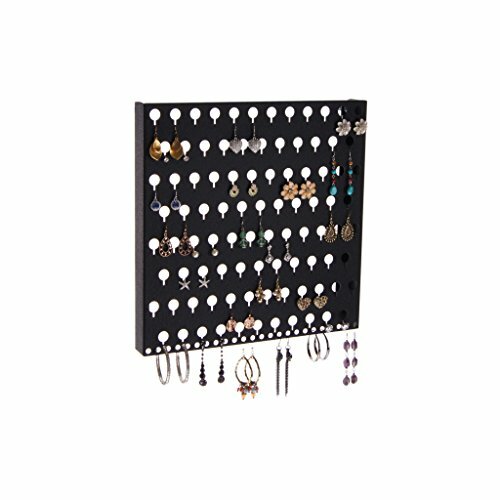 This jewelry wall holder is a basic yet elegant organizer that will prove to be very helpful and efficient in keeping your precious pairs of earrings in one single spot, therefore sparing you the risk of misplacing and losing them! It is available in an elegant black color, gorgeous rubbed bronze, a satin nickel silver and an immaculate white version. It has been made of sturdy carbon steel that is also very resistant and has later received a superior powder coat finishing. All products are made in the US. 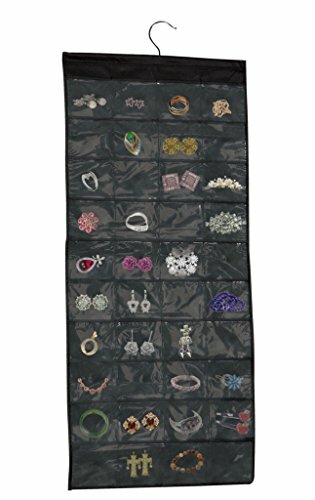 The jewelry holder can store up to 58 pairs of your earrings, which is a rather considerable number of pairs, therefore allowing you to keep all of your lovely earrings stored in one place. It is also easy to assemble so you don’t have to worry about putting it together. All of the necessary hardware for assembly are shipped with the package. 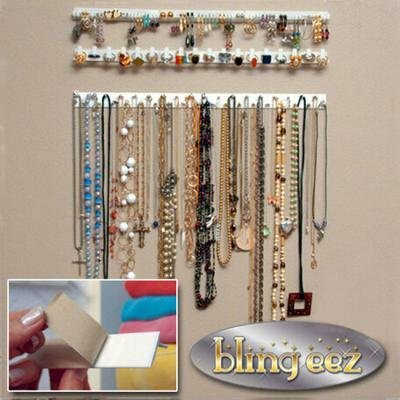 You can put it up against a wall, door or cabinet and closet door. 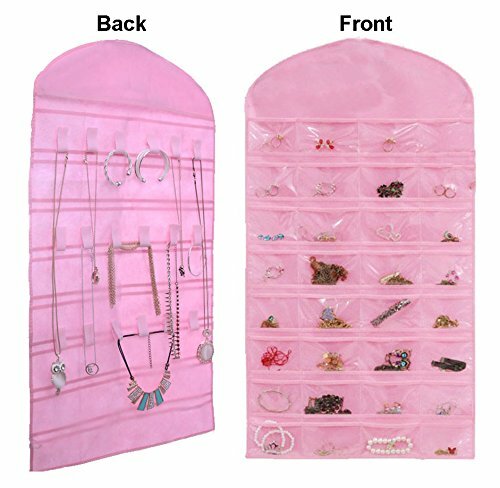 This product is ideal for anyone looking to store their belongings while saving as much space as possible. 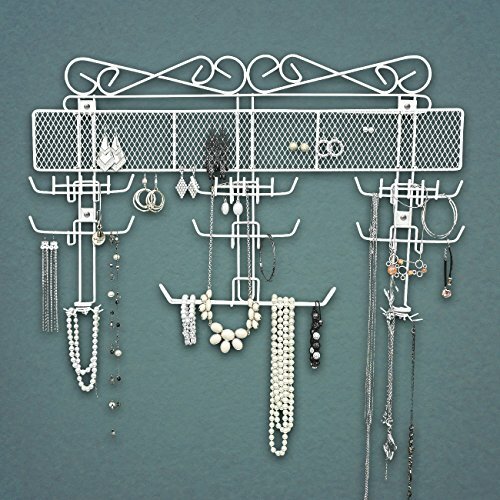 Purchase this sturdy and efficient jewelry wall holder and you surely will not be disappointed! 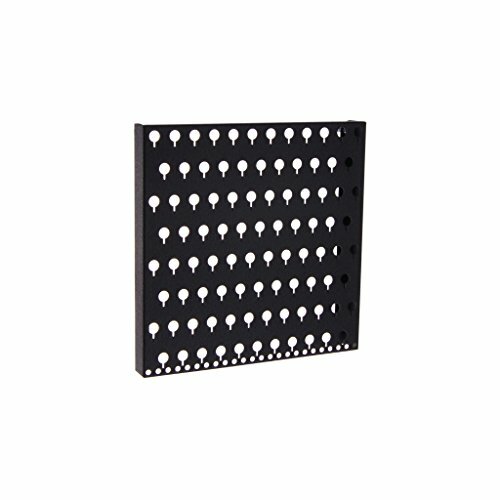 The overall dimensions of this product are the following: 12” tall x 12″ wide x 1 1/4 ¼” and its weight is 1.6 pounds.